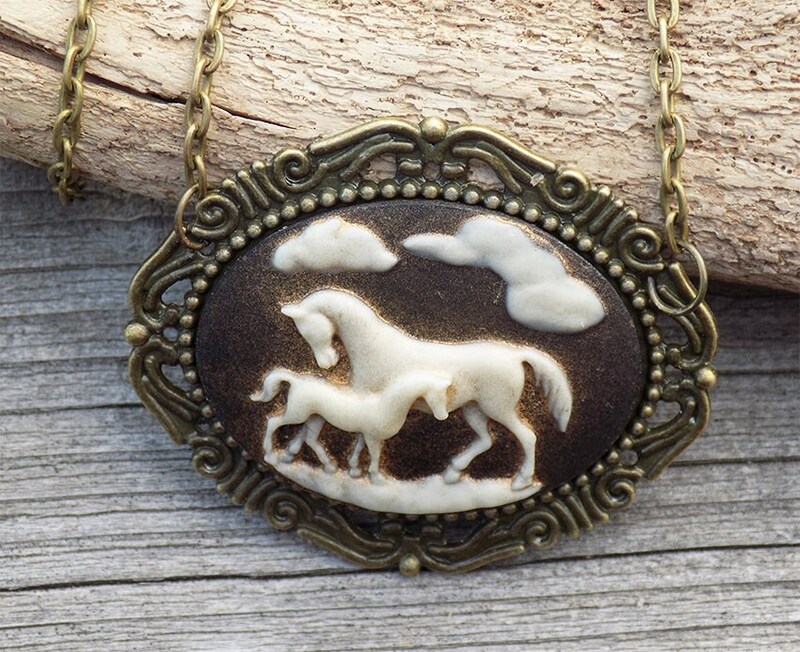 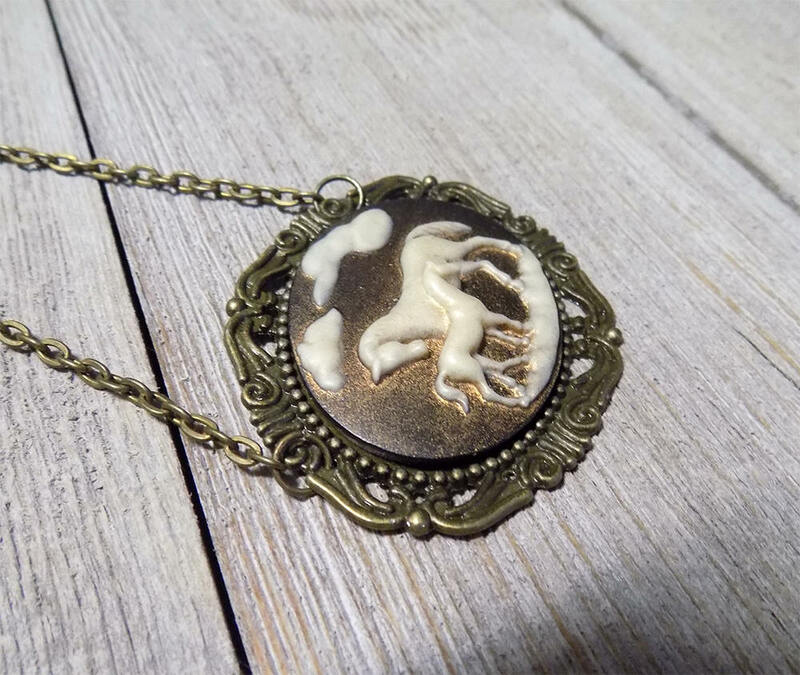 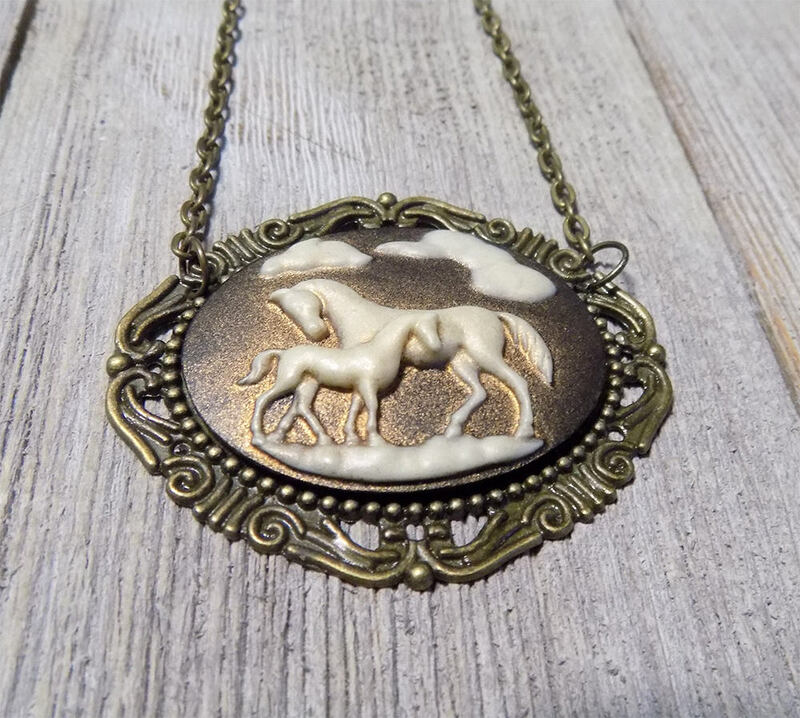 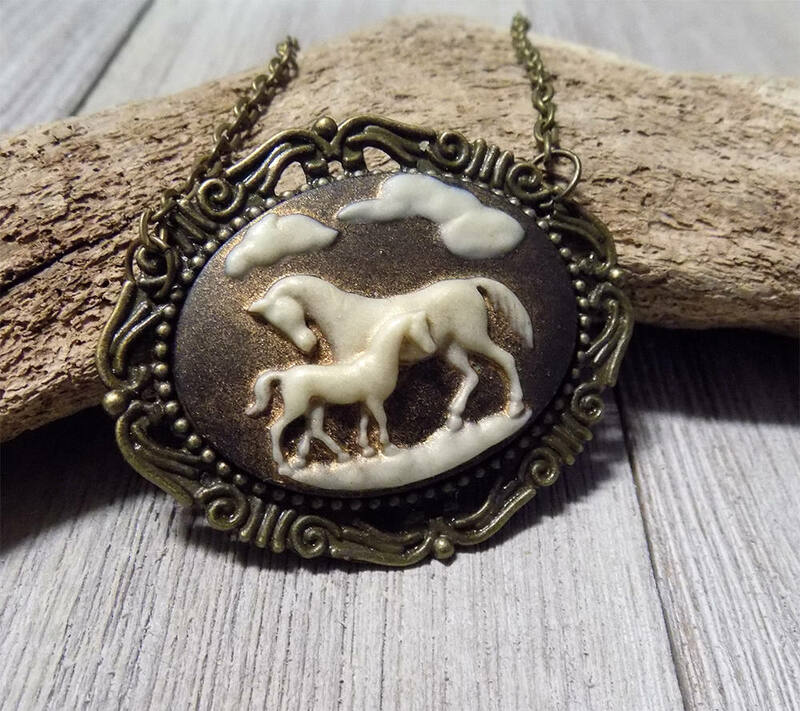 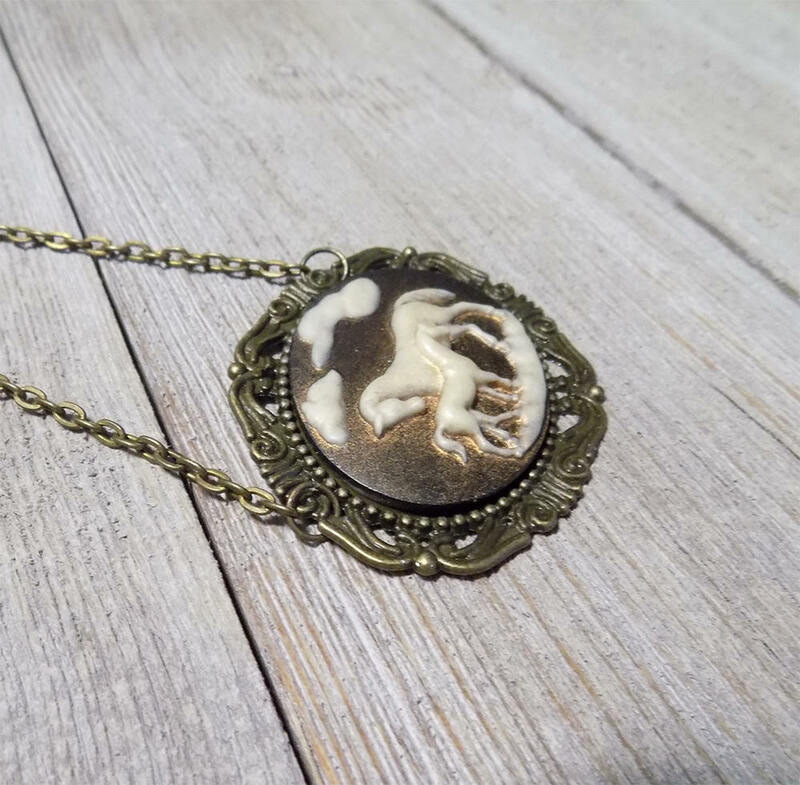 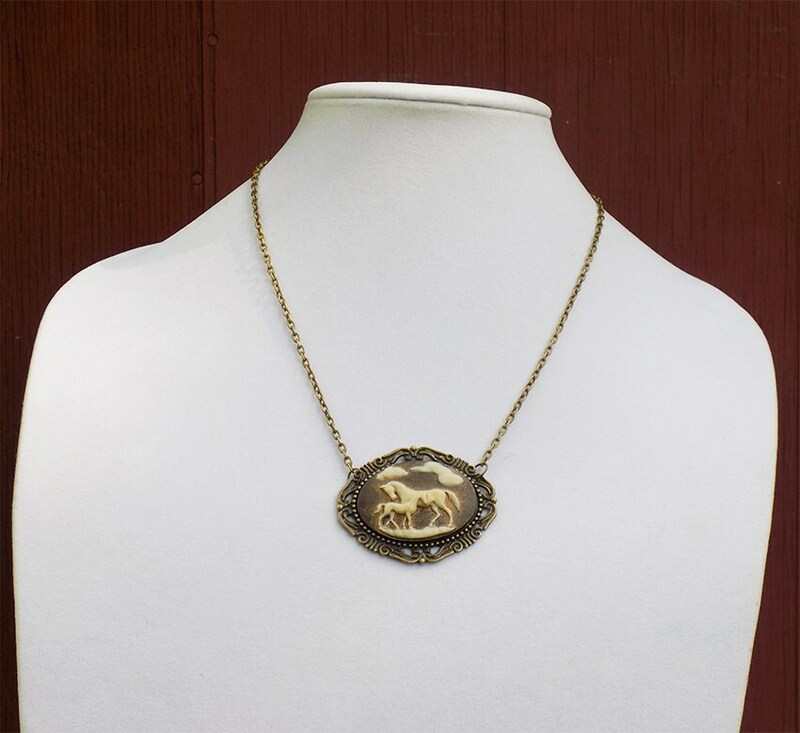 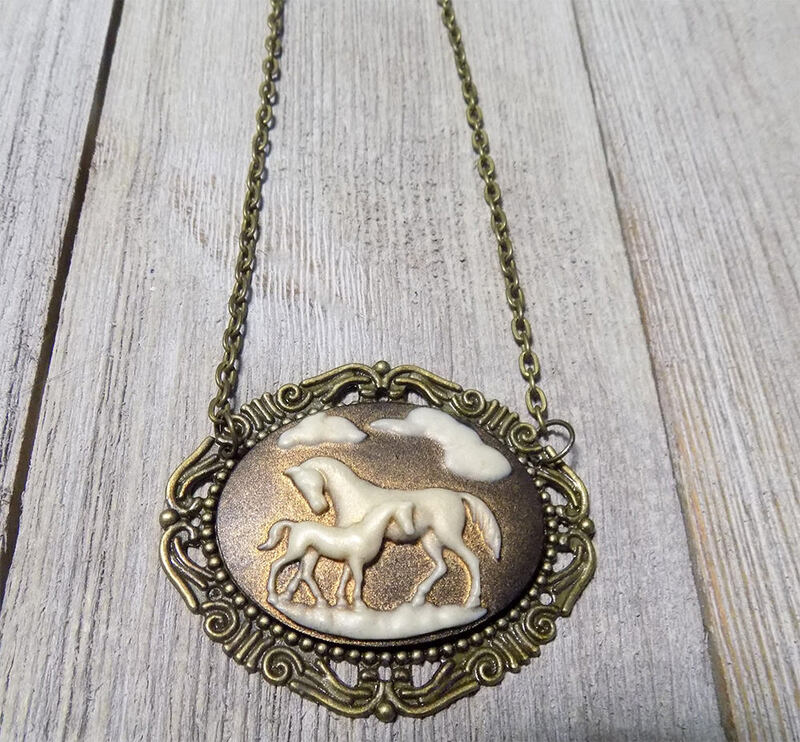 This adorable necklace features a 30x40 mm mother and foal cameo suspended from a 20' antique bronze chain. 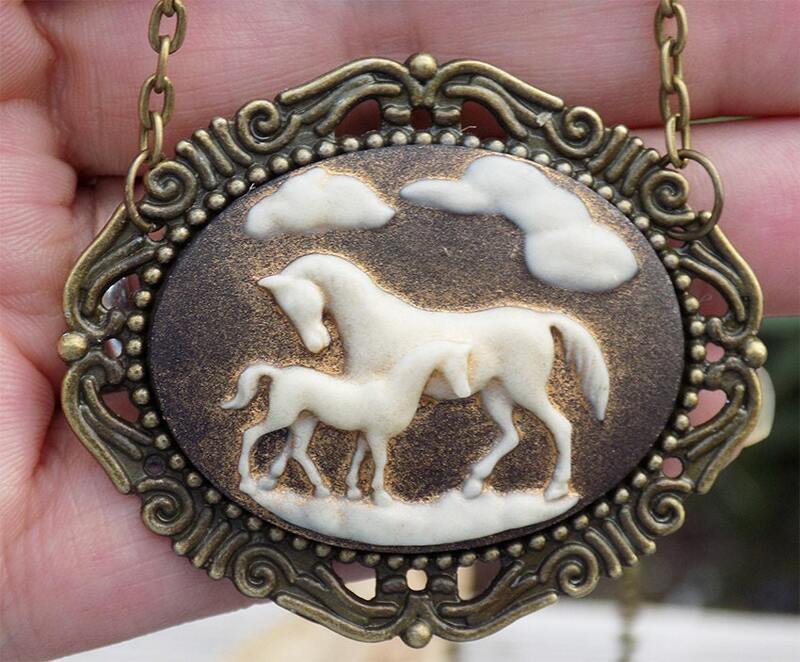 The cameo has been hand painted with metallic shimmer to further bring out the gorgeous detail. 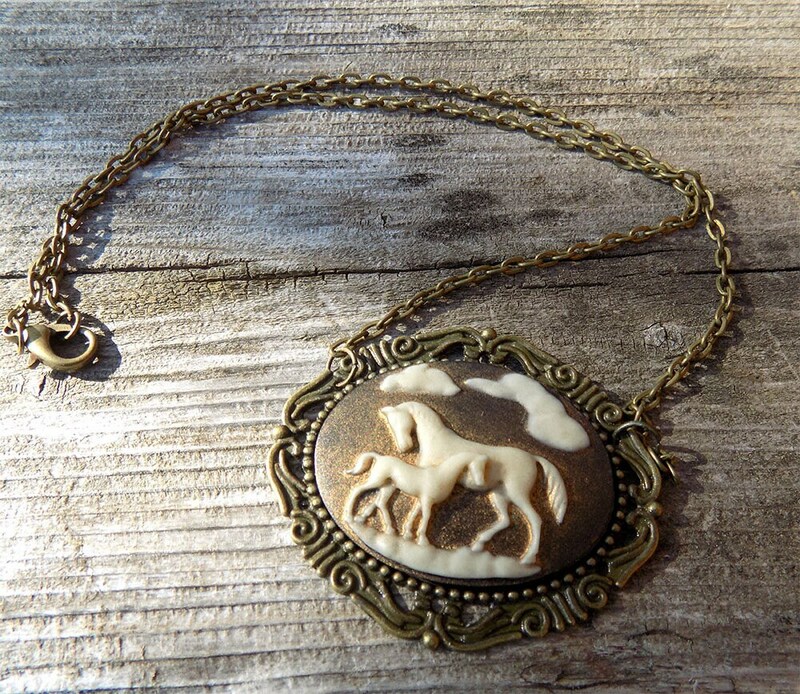 The necklace is finished with a simple lobster clasp.